The Porsche 911 offers a staggering array of optional colors, custom finishes, and drivetrains, and if you want the highest level of customization, you can custom-order one. The 2009 Porsche 911 is in a class of its own, and if you have your heart set on one, there's very little else to compare it to. TheCarConnection.com's editors have driven the Porsche 911 in order to give you an expert opinion. TheCarConnection.com's experts have also researched available road tests on the 2009 Porsche 911 to assess its new features and give light to any opposing viewpoints. For more than 40 years, the Porsche 911 has been thrilling car enthusiasts by constantly raising the performance bar, and 2009 is no different from previous model years. Highlighting the upgrade sheet are new engines for the 911 Carrera Coupe and Carrera Coupe S, as well as the addition of Porsche's seven-speed double-clutch transmission. The new engines are constructed with a new two-piece crankcase design, and they feature direct fuel injection and Porsche's VarioCam Plus intake-valve timing and lift system. Porsche claims a 6.2 percent increase in horsepower, from 325 to 345 hp, for the standard 3.6-liter engine and an increase in torque from 273 to 288 pound-feet. The larger 3.8-liter engine in the 2009 Porsche Carrera S jumps from 355 horsepower to 385 and an equally impressive improvement in torque to 310 from 295 lb-ft. Top end speeds and 0-60 times for each vehicle are 180 mph and 188 mph, and 4.7 seconds and 4.5 seconds, respectively. There's a 911 GT3 edition this year with 435 hp and 0-60-mph acceleration of 4.0 seconds, too. The king of the hill is the 911 GT2; with its 3.6-liter flat-six and 530 horsepower, it rockets to 60 mph in 3.6 seconds. Fuel economy of all versions ranges from 16/23 mpg to 15/22 mpg, amazing figures for such high-performance cars. There is no better-steering car on planet than the 911 Porsche; it is simply brilliant and a joy to drive in any scenario. There's no practical way to approach the 911's grip limits on the street—more so for the all-wheel-drive models, which have even wider tires. The ride is always comfortable, and the wheels never seem to be anything except squarely and firmly planted on the pavement. Dual front, side, and curtain airbags are standard, along with Porsche's excellent PSM stability control system. The Cabriolet versions of the 2009 911s are fitted with an impressively snug top and equipped with a heated glass rear window. Putting the top down is a one-button affair that snugly retracts the whole thing in just a few seconds and sends it back up in a few more. Porsche offers a staggering array of options and custom features, including an active suspension, ceramic brakes, 19-inch wheels, and leather trim for nearly every surface. The rear seats on any 911, however, are token gestures, not even large enough for small children. The Porsche 911 is one of the true icons in the automotive world. Porsche manages to make the 40-year-old silhouette of the 911 look fresh and inviting. The iconic look of the 911 doesn't leave much room for big changes, so Porsche designers refined the 2009 model while maintaining its familiarity with “revised front bumper and larger air intakes, as well as by new large mirrors and the bright strip of LEDs below the headlights that serve as daytime running lights,” says Popular Mechanics. According to Forbes Autos, the 2009 911 has a "familiar Porsche look" that is "instantly recognizable." Of the 14 different models available, Cars.com observes that the exterior of the base Porsche 911 Carrera models is "nearly devoid of extraneous trim," and the "low, smooth-bodied 911 looks the part of a serious performance machine." Edmunds lists the available trim levels as "Carrera, Carrera S, GT3, Turbo and GT2" and notes that "the Carrera and Carrera S can be had in three body styles," which include a standard "coupe and convertible ('Cabriolet')," along with the "911 Targa 4" that comes "with a large power-sliding glass roof." According to Cars.com, the fearsome styling of the 911 Porsche Turbo includes "an LED-bearing bar across both outboard portions of the lower front air dam" and "twin gills behind each door," along with a "forward-canted spoiler" and "lower body work.” Edmunds reports that the GT2 and GT3 models both come only as a coupe, while the Porsche 911 Turbo is "available in coupe and Cabriolet form.” Edmunds also finds that visual changes for the GT3 include "a wider rear body and track" and "unique front and rear fascias," while Motor Trend asserts that the GT2 gets "Audi R8-like LED light bars" and "a purer, more appealing prow," thanks to the deletion of the fog lamps. On the 2009 Porsche 911 Targa, Forbes Autos reviewers find that "all Targas have polished aluminum trim that follows the arc of the roofline" and note the "extra chrome fits the more ostentatious persona Porsche seeks to give the 911 Targa." Reviewers also love what Car and Driver describes as the "great interior" on the 2009 Porsche 911. Even aspects of the interior that might be considered drawbacks in other cars are justified in the Porsche 911. For example, Forbes Autos says the "911 feels more utilitarian inside than the average luxury car—but this is by design, to keep the focus on the joy of driving." 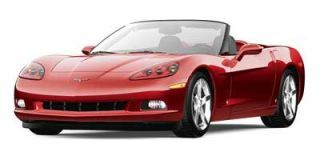 The one criticism of the interior that arises in reviews read by TheCarConnection.com comes from ConsumerGuide, commenting that "many switches are undersized and hard to decipher." Edmunds reports that the "driver-centric Porsche 911 interior features a single-pod gauge cluster," though ConsumerGuide remarks that those "gauges are closely placed and may seem daunting at first." The Porsche 911 is a tried-and-true sports car, and performance comes before all else on this German beast. For 2009, two new engines constructed with a two-piece crankcase design, direct fuel injection, and Porsche's VarioCam Plus intake-valve timing and lift system join the fold. Edmunds states that "every 911 can perform the 0-60-mph sprint in fewer than 5 seconds, with the Turbo and GT2 doing it in well under 4." Furthermore, they add "top speed approaches 200 mph for the GT3 and Turbo and exceeds that in the GT2." Edmunds describes the lengthy engine list as including a "3.6-liter, horizontally opposed six-cylinder engine that produces 345 hp and 288 pound-feet of torque" on the base Porsche 911 Carrera, while the "Carrera S has a 3.8-liter version of the flat-6 rated for 385 hp and 310 lb-ft of torque." Both the 2009 Porsche 911 Turbo and the 911 Porsche GT2 use a "3.6-liter twin-turbocharged flat-six engine" that Car and Driver says produces 530 hp in the GT2, as opposed to 480 hp in the standard Turbo. The GT3 models of the 2009 Porsche 911 are powered by a "high-revving six-cylinder engine" that "yields 435 hp and 317 pounds-feet of torque" from its 3.8-liter displacement, according to Cars.com. Porsche also bestows its PDK double-clutch transmission as a new option for 2009 911s, replacing the Tiptronic S transmission. The beauty of this system is in its operation, where one clutch engages the next appropriate gear, while the other clutch simultaneously disengages the previous gear. “It took two decades of advancing electronic know-how to get PDK ready for prime time,” says Popular Mechanics, “but ready it is, with a host of control strategies that make the system seem telepathic in operation.” Reviews read by TheCarConnection.com rave about the transmissions, especially the manual. ConsumerGuide deems the manual "slick" and "precise." Even the high-end Porsche 911 GT2's "control efforts are fluid and easy," in the words of Motor Trend. One feature that reviewers of the Porsche 911 GT2 especially love is the launch control, which Car and Driver says is "a way of taking off with maximum force while preventing mechanical meltdown." The launch control system essentially works the clutch and matches engine speed for you, providing optimal acceleration launches with minimal hassle. Edmunds adds that "the 911 Carrera and Carrera S can be had in either rear-wheel- or all-wheel-drive ('4') versions," though the Targa 4 "comes only in AWD form." They conclude by remarking that "the GT3 and GT3 RS are rear-wheel-drive only," while "the Turbo features all-wheel drive" and "the GT2 is a rear-driver." New cross-drilled, inner-vented brake rotors are mated to monobloc, four-piston calipers on 2009 Porsche 911 models. “Per Porsche tradition, steering and brakes are excellent for response, effort, and feedback,” says ConsumerGuide. Further praise for the 2009 Porsche 911 brakes comes from Edmunds, who insist they are "powerful and respond promptly in a linear fashion." Forbes Autos goes so far as to call the brakes "among the best on any car at any price." Other reviewers unanimously agree that the 2009 Porsche 911 "turns in crisply and with precision, and is largely unaffected by broken pavement." Ride quality is equally impressive; ConsumerGuide calls the ride "firm but seldom punishing." The official EPA estimates for the Porsche 911 lineup range from 15 mpg city and 23 mpg highway for the 911 Turbo with automatic transmission up to 18 mpg city and 26 mpg highway for a manual-transmission Porsche 911 Carrera. ConsumerGuide reports that "a manual-transmission Carrera 4 averaged 17.2 mpg in mostly highway driving," while a "manual-transmission rear-drive Carrera S averaged 17.6 mpg." Front-seat comfort and overall quality rank high in the 2009 Porsche 911, while cargo space is impressive for the class. The 2009 Porsche 911 lineup is, by the accounts of a wide range of review sources, quite comfortable up front and well built, but essentially useless for passengers who try to use the backseat. Edmunds claims that "large footwells and a tilt/telescoping steering column virtually guarantee that most drivers will be comfortable behind the wheel," but they also note of the backseats that "in a pinch, they'll work for small children, but no more than that." Up front, "room is good" and the "911's seats hug without binding and are long-haul supportive," says ConsumerGuide. For extra comfort and support, reports Forbes Autos, Porsche 911 customers have the option of upgrading to Adaptive Sport Seats, which "improve both lateral support and overall comfort." Cars.com finds that although they are "called four-passenger automobiles by Porsche, 911s have plenty of space for front-seat occupants, but backseat riders are in for a major squeeze." Thanks to the rear-engine layout of the Porsche 911, the underhood storage compartment is free to hold "a couple of gym bags," according to ConsumerGuide, which also declares that overall cargo room is "great for a sports car." Inside the cabin, even the lightweight 911 Porsche GT2 retains "two swing-arm cup holders," which are present on all 2009 Porsche 911 models. Forbes Autos claims that "the Porsche 911 Targa provides a surprising amount of cargo flexibility," due in part to the fact that "the rear seats fold forward to create a flat cargo floor" and the "lift-up glass hatch makes accessing this space much easier than on other 911 coupes." Edmunds reports that although the folding rear seats provide some storage space, "the 911's principal cargo area is located underneath the hood up front." ConsumerGuide recognizes the quality that comes with the Porsche badge, saying that "you pay plenty, but that's partly offset by solid construction." ConsumerGuide adds that "cabin materials are solid and mostly upscale," while Motor Trend raves about the standard "rich Alcantara" that adorns the interior of the GT2 and GT3 variants of the 911 Porsche. Forbes Autos points out that "Porsche 911s are usually completely devoid of creaks and rattles," though they notice "creaks when going over potholes" in their Porsche 911 Targa. Otherwise, they praise "plenty of engineering forethought" that goes into every 911 Porsche. Another area of concern on the 911 Porsche Targa models is the retractable roof, which Forbes Autos notes "reduces what little rear-seat headroom there is to begin with and could even smack a rear occupant in the head." It is also worth mentioning that both the GT3 and GT2 variants of the 911 Porsche do away with the rear seats altogether, in the interest of cutting weight. The 2009 Porsche 911 doesn't have any official crash-test scores, but there's an excellent suite of safety features. The Insurance Institute for Highway Safety (IIHS) and the National Highway Traffic Safety Administration (NHTSA) have passed on testing the 911, most likely because it’s a low-volume production car with a high price tag. Reviews read by TheCarConnection.com indicate high praise for the stability system, which Forbes Autos says "feels like a partner in driving fun instead of a big brother, working with the 911 so well that you can keep it turned on and let it enhance the experience." Edmunds reviewers add that "traction control and stability control are included on all 2009 Porsche 911 models except the GT3," and the ultra-high-performance GT2 "uses a specially tuned version of Porsche's stability-control system," according to Car and Driver. Cars.com reviewers note that "all-disc antilock brakes and six airbags—including seat-mounted side-impact airbags and head airbags that emerge from the windowsills—are standard" on the 2009 Porsche 911. There's not much in the way of optional safety equipment, but that's not surprising considering the amount of standard safety equipment. ConsumerGuide finds a "rear-obstacle-detection system" is available on all 911 Porsche models except for the GT3 variants; the system represents the full extent of available safety options. Aside from that, drivers have the option of turning the stability control off if they are feeling adventurous and want a purer driving experience. When it comes to driver visibility, some problems arise on the Porsche 911 Targa and Cabriolet models. Visibility with the top up in the Porsche 911 Cabriolet models is impaired, but on both the Cabriolet and the Targa models, the poor rear visibility can be mitigated by the aforementioned rear obstacle detection system that is available as an option. On the Targa model, Forbes Autos says "rear visibility while backing up with the top open can be challenging due to the darkly tinted glass and because of the way the retracted panel doubles up against the rear window." The 2009 Porsche 911 may be an incredible sports car, but it also comes standard with a lengthy list of luxury features. 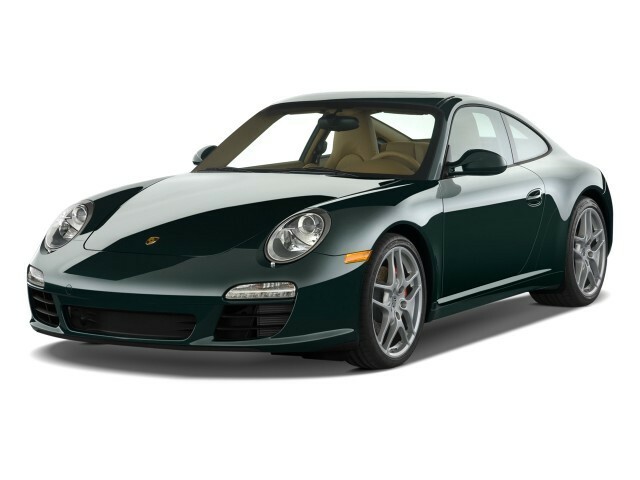 Full-on luxury conveniences and electronic aids are often missing from high-end sports cars, but the 2009 Porsche 911 offers it all, from an available navigation system and Bose stereo to standard leather and automatic climate control. The 2009 iteration of the 911 features an upgraded Porsche Communication System (PCM) with a new screen measuring 6.5 inches compared to the last year's 5.8 inches and a simpler keyboard. The PCM also includes an internal GSM mobile phone module with Bluetooth hands-free operation. “And the car accepts all the latest MP3 gadgetry,” reports Popular Mechanics. Even the most basic Porsche 911 Carrera comes well equipped off of dealer lots. ConsumerGuide says that all 911 Porsches come with standard "air conditioning w/automatic climate control" and "tilt/telescopic leather-wrapped steering wheel," along with "cruise control, partial leather upholstery," and full power accessories. Reviews read by TheCarConnection.com also rave about the sound system, and Forbes Autos reports "the latest sound system really makes the best of the 911's tight cabin with nine well-placed speakers." An upgraded "Bose sound system" is standard on the Porsche 911 Carrera Turbo, according to ConsumerGuide. For those who demand even more luxury and personalization, Edmunds reviewers proclaim, "Porsche offers up a dizzying array of expensive options." Noteworthy features on the Porsche 911 include Porsche's Adaptive Sport Seats, which Forbes Autos says "improve both lateral support and overall comfort so much that they are worth it if you plan to spend a lot of time behind the wheel." Edmunds states that options also include "custom color schemes, different seats, upgraded stereos, custom leather trims and a choice of wood, aluminum and carbon-fiber accents." 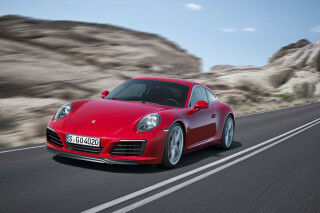 ConsumerGuide reviewers mention that the 2009 911 Porsche Carrera Turbo comes with standard "full-leather upholstery." 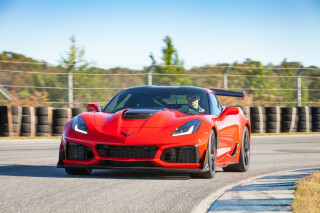 Edmunds also reports that "a navigation system and a Sport Chrono package" are available, and "in addition to supplying lap times and records, the Sport Chrono option also remaps the electronic throttle for quicker response." Good performance wrapped in a classic design. My only real issues are the performance of the base model and the peeling interior of the 997.2. The "S" is a much better performing vehicle and the interior of the 991 is greatly improved. First direct injection from the first manufacturing batch and Stuttgart got it right. Other than HP fuel pump and muffler straps replacement under recall, it does everything it needs to. First thing everything... First direct injection from the first manufacturing batch and Stuttgart got it right. Other than HP fuel pump and muffler straps replacement under recall, it does everything it needs to. First thing everything is tight, no looseness or uncertainty. Putting the foot down, in Sport or Sport plus mode, it takes off predictably and goes as hard as you want it to. The weight is on the back on top of the driving wheels, no slip or hesitation on take off. Only been able to shake it loose once around the bent for a fraction of a second, controllable, exciting and back to good behaviour again. Relief back home from my favourite road that I was not "noticed", after all there were other Porsches, a new red Ferrari and a grey Aston Martin.